Richard's been at the YouTubes again. This time, the Eastman E10SS/V. Gorgeous! J45s range from £1,800 to £3k. The lower end Standards I wouldn't buy blindly and turned a used one down recently that was £900. It just didn't have mojo. The Sigma J45 gives a standard Gibson a run for its money at a quarter of the price. I pulled the trigger on the Sigma as soon as I played it, I knew I was onto something special and when I googled it on Guitar Paradisso, when I got home, the boys on there had already gone nuts about it. Anxious to prove that I have a good ear and do not have an unwavering bias towards Gibson - given total freedom I chose Sigma over a Gibson (low end.) Better than all is a genuinely aged 1950/60s Gibson, the real thing at around £5k ! A lottery win is needed and I would not hesitate. Hi guys! In fairness Martin guitars have many aspects of production automated and mechanised. All acoustic guitars have some element of "hands on" to produce them. You only have to look at the Taylor videos to see that despite their desperate attempts to mechanize everything they still have to employ "people" which we all know if they could remove they would. The argument about Gibsons holding their value as a reason to buy is totally flawed. There is no point in paying TWICE the price just so you loose less when you sell it?!! The maths just doesn't add up. What does make sense is if you want a Gibson - you MUST buy a Gibson. I have always said that. You must buy a guitar based on your personal passion and what makes you excited. If its the words "Gibson" on the headstock then there is no other choice. You do have to remember that it is the power of those 6 letters that has enabled them to produce sub standard guitars for the past 15+ years. Its allowed them to buy up quality brands and run them into the ground to give players less choice. As a genuine enthusiast I see every reason NOT to buy a Gibson BECAUSE I love what they should be - not what they have become. So for me - I find it wonderfully exciting when something like the Eastman E10SS/V come along and provides you a Adirondack spruce top, the highest quality solid mahogany, ageing like Gibson can only dream of achieving - all hand made!!! For £1300? Its a no brainer - but only if you want incredible quality for a great price. If you want Gibson - just ignore it - it wont make you happy. 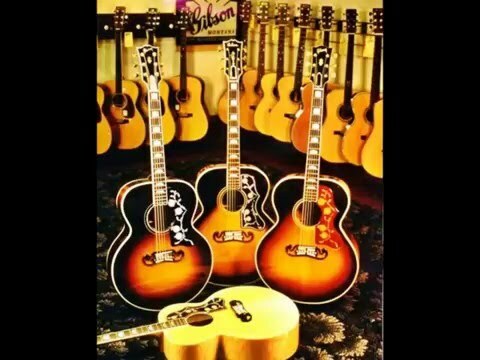 As you will see from this video, there is a massive amount of mechanisation in the production of a Gibson acoustic. Every Eastman neck is literally carved by hand. No machines in their workshop. This is the Gibson J-45 True Vintage model at £2500 which specification wise is in line with the Eastman. Adirondack spruce top and quality mahogany back and sides. Bare in mind that this specification without the ageing is £1100 on the standard Eastman E10SS and I would imagine if you purchased this Gibson with the ageing you would be easily over 3k. I just wanted to make sure all my comments were put in context. There is a lot of manual labour featured in that video, albeit single trades on single workstations. So what ? I don't doubt the Eastman is darned good. You have my attention. But if I bought one I'd probably be stuck with it. PS, the premium on 'hand made' (in the sense of one luthier-one-guitar) clearly does not yet manifest in the differential between Eastman and Gibson pricing. People only really care about the end product and, yes, the brand name and the decades (centuries in the case of Martin) of *unfair* corporate privilege built into it - not *how* it's made. If they made a *good* J45 out of magic fairy potion and no labour at all (which I think they do) I would not care one jot. I bought a mass produced Chinese repo after all. PS, the premium on 'hand made' clearly does not yet manifest in the differential between Eastman and Gibson pricing. People only really care about the end product and, yes, the brand name and the centuries of corporate privilege built into it - not *how* it's made. If they made a *good* J45 out of magic fairy potion and no labour at all I would not care one jot. Kevin - Gibson quality control and production is generally appalling. I have literally NEVER experienced a Gibson that I could say looked lovingly created with great attention to detail so I have to say I totally agree - its the end product that counts. OF course there must be lovely examples out there and of course there are - but that should be a GIVEN at the ridiculous prices they go for. The reason people have been playing them for years is 1) It was the first and for a while pretty much the only choice so inevitably they had a following in the early years. 2) People have been PAID to play them for decades. Its all based on marketing and money. Gibson give guitars to famous players, who in turn endorse the product. Lets be totally pessimistic and say you sell the Eastman at what 50%? That just wouldnt be the case but lets say it was? That a loss of..... guess what! £600!!! So, you lose £600 on both but the Gibson costs you £3000 to have the experience where as the Eastman cost you only £1300 - so you were better off during the whole process too. So the resale argument, like I said before is for me a red herring. The entire process if more costly and there is little to be gained financially on resale. What DOES make sense is clearly for some a Gibson is the only choice - The quality, the poor reputation for the way they treat the environment, their poor attitude to pretty much all aspects of their Industry, staff, dealers count for nothing because its a Gibson. If you want to buy into the heritage, the history and ultimately all the clever marketing that continues to drive them - a Gibson is the only choice. I know I am being incredibly cynical but that cynicism is based on many years experiencing their awful QC. I opted for a Chinese Sigma over a Gibson J45 standard, given a realistic opportunity to have either (nullifying any alleged 'bias') - but still, I can't fault a top end Gibson J45 'banner'. They are something really special. I doubt very much you'd get £600 (a 60% loss) for an Eastman on ebay/Gumtree. You wouldn't have the audience. That's not saying that people shouldn't buy them btw. There look to be lots of well fed and satisfied workers in Montana in that video. If we really care about trees then we should stop playing guitar, there's nothing ethical about any of it. I opted for a Chinese Sigma over a Gibson J45 standard (nullifying any alleged 'bias') - but still, I can't fault a top end Gibson J45 'banner'. They are something really special. Ask anyone what an Eastman is. They'd go blank. Even my Gran knew what a Gibson was. I doubt very much you'd get £600 for it on ebay/Gumtree. You wouldn't have the audience. That's not saying that people shouldn't buy them btw. Thats the power of marketing for you. Its a pretty well cemented fact that the best things out there are rarely the ones that are easiest to find. Its the same in every industry from organic baby food, to watches, to wine..... to guitars. People buy for a variety of reasons and indeed one of the big reasons people buy is to feel accepted by their peers. IF you buy a Gibson you have sure fire list of admirers and people who appreciate your choice. Personally I could never ever sell Gibson under their current management which of course is a terrible shame as I love Gibson guitars. I think you would find most Gibson employees who no doubt are also passionate about their trade would wish for a major change in direction too. Well clearly, the low to mid Gibsons are being given a run for the money. And my choice of a Sigma over an available J45 standard has proven that point. But the top end 'banner' still has it and is a wise investment which will become desirable in the future. Those who can't discern a good J45 from an indifferent one will not understand the Eastman either. Sorry Kevin, I think we will have to agree to have different views because I have difficulty understanding that statement. What is there to "understand". Its a simple case of gorgeous guitar for £1300. Forget Gibson - Its about this product. Its not about understanding a good from a bad Gibson. For many many people £1300 is a big big sum of money. Its a LOT of money. So if you are stretching your budget to the absolute maximum then many people appreciate it when someone like me says "Hey, guess what - you can have everything and more than you would from a guitar twice the price". Its just a simple case of it being a wonderful guitar that is aesthetically pleasing, tonally pleasing and has a great back story (the fact it is hand made unlike any other in its class). Jo Bloggs can now have something that he didn't realise was within his reach. So its not a case of being better or worse than a Gibson. Its cheaper, it has its own highly unique offering and based on the comments of every single person who has seen it in the flesh it has its own very unique personality that even a Gibson cannot offer (as I dont believe they provide the option of an aged instrument anyway). If Gibson WERE to produce a guitar like this I have no doubt it would be £4-5000. "Forget Gibson - Its about this product." I would like to have forgotten Gibson but it was mentioned in the video. Whilst the managers weren't watching in Mansons I went up and licked a J45 'banner' whilst it was still in its rack. It tasted of Cockapoo puppy's ears coated in honey. Lol... I think maybe you have demonstrated my point! You know as well as me that the primary reason to buy a Gibson is BECAUSE its a Gibson as there of course NO embarrassment in that. Its a perfectly good reason!!! All I do is surround myself with guitars that excite me on another level. You shouldn't have to be a connoisseur in Gibson guitars to differentiate the good from the bad. I will conclude by saying nobody loves the history and heritage of Gibson guitars but that has sadly been tainted over my entire time in business (22 years) but this in no way undermines peoples reasons - I GET why people want them - why people buy them - and ignore the aspects that I feel are important to me personally. Hope that sounds fair. So - when somebody tells me that guitar x is hand made/carved....I really couldn't care less these days. Hi Smarty. Ohhhh man......... I give up. Look - Forget the word better or worse for a moment. Think about what makes YOU appreciate a guitar. Thats what I do. I think about what makes something important to me. Now.... When I pick up an Eastman, the hairs go up on the back of my arms. I look at it in wonder and literally imagine what it took to create this work of art. Now - to you or to someone else that may mean NOTHING - fine. It doesn't mean it means nothing to me though. Its your opinion and 100% yours and there is no judgement on you for expressing your own feelings. But there are people like me who value the fact an instrument has been lovingly created by hand and it certainly isn't a mute point to me! You want to know why CNC is used? Its called MASS PRODUCTION!!!!! It doesn't mean they are inferior in terms of the net result. If you want a guitar made out of a 3D printer be my guest - the result would still be a "guitar". Its like anything that is hand made - it is a statement in its own right. If you dont want a hand made guitar then fine. Its such an odd argument. If you dont think its of value that is your prerogative. Personally I think we have all been so dummed down these days we will accept anything as long as its marketed well. Take Gibsons "weight relief" as an example. Weight relief? They would have you think this is some breakthrough in guitar design!!! NO!!!! Its just CHEAP WOOD that would be unusable if they didnt drill holes in it. The wood itself has no resonance but at least if you drill holes in it you can pick it up! The industry makes me sick - well it did - literally - which is why I enjoy raising awareness of things that I think are relevant. The guitar industry is a hideous landscape - on that we agree! I think that sums up any big name vs not so well name arguement. Kevin, your comment about your Gran knowing Gibson was a gem! The argument goes the other way too - presumably if you've not heard of a brand, it can't be any good? Keep going with this and all our houses will be filled with Apple and Ikea products, decorated by Dulux, with cupboards full of Heinz and a Ford in the driveway. Now, there might be anything 'wrong' with that, but there are tons of lesser brands who are likely to give you better value for money and potentially better solutions to a problem. That's business! The bigger guys have just outlived the impracticality of hand building. It might not be about quality, but it is (for me) more about customisation. I can go to Ben Fletcher and ask for a pickup that is really unusual and he'll do it (fantastically!) but Tonerider, Irongear and others (at the same price point) won't because it's all automated. Seymour Duncan will, but then you really pay for it. I'm with you on that, Richard. If it costs more, it has to be worth it to you. When it comes to parts like the neck carving, I would rather it was hand made. The neck joint, fret work, nut... it all should be done by hand to be done right. It's like looking at the figuring in a maple neck. You can look at it and realise that human hands built that, a quality that is sadly disappearing. People don't make anything any more (generally speaking) - they throw it away and buy a new one. When I pick up a handmade guitar it's like looking at stained glass in a cathedral. Somebody, hundreds of years ago, pieced that together as an expression of themselves, and left it for generations to appreciate. When I go to a gig, I WANT to hear mistakes. It's human! I have a few hand made guitars and love the idea that I put this together. It's mine, unique. About resale - who cares?! Really, I wouldn't! Buy a guitar to enjoy, now, and keep it as long as you like. Consider it a sunk cost (ask your accountant about sunk costs!). If you have to sell it, c'est la vie. I'm all for the little guy (probably because I am one, on a global scale) and like championing for the lesser known brands rather than the de facto choices that only sell on their marketing. Just on the issue of CNC machining, and the three high-end manufacturers Smarty mentions as examples - I've never owned one of those brands I admit, but did once spend a while looking at, and being very impressed by a Tom Anderson electric guitar. I think what impressed me was the obvious attention to detail, thought, care and pride that had gone into it, which for me did produce a superior instrument. I watched a factory tour video for Tom Anderson guitars also, and yes there is some use of machinery and technology to speed production, and maybe machines even can do certain things more consistently and accurately than humans. But there was just a happy vibe about the place, and a focus and caring attitude from the people working there. It just gave a good feeling about the guitars and the planted the thought in my head that it would be a good brand to own. 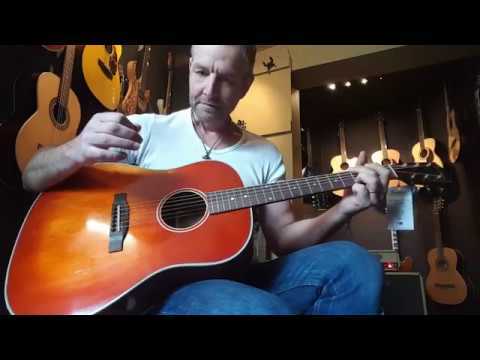 So, I would perhaps suggest that some (not all) of the value that Richard finds in the guitar brands he chooses to stock, is down to that kind of caring attitude, with pride in the results, within the guitar factories concerned. For what it's worth, personally I do feel there is also a certain something to be said for hand-built instruments, with the individual attention and involvement of the maker that this implies. And maybe that's more significant with acoustic guitars than electrics. I don't know, but that Eastman certainly looks glorious, and it sounds rather lovely too. I like that idea, Megi. You are always buying from people. I never wanted THAT guitar because my so-called idol played it. The closest I got was wanting to build a guitar like Brian May did, but I made it my own. Not to get too far away from your point, that is also why I don't like signature guitars. They aren't mine! I don't need a star, history of flash ads telling me that I bought a great guitar. I don't want to buy into a brand, or the "something I had always wanted as a kid and now I'm older I can afford" it type of attitude. Frankly, I can't afford that sort of sentimentality. I want to make music, my way (yes, Frank, my way). Conversely, with the Tom Anderson example, perhaps meeting the owner is why so few people own Rickenbackers (sorry, Mr Hall...!!)! But all this makes me really want to play an Eastman! They have a great review in a recent Guitarist magazine where they talk about the violin finish. I play a 19th century violin and can attest to it looking EXACTLY like that Eastman. Dead on! I think resale is a consideration - at least for me. And that's one of the reasons I've never been happy with building a parts caster or something similar. The other reason being, i dont have the requisite skills to build something is be truly happy with (and I have tried!) - certainly nothing to compete with any of the builders I previously mentioned. Sure, it'd be "mine" and "unique", but sub standard all the same. I can get all the customisation I want from Anderson, and the end result is a world class guitar. Yea, fair enough. If you're going to make your own, then the journey or the fact that you made it yourself has to be a large portion of the end result. These days there are so many inexpensive options that you would have to be nuts to do it yourself just to have something to play ! When I built my first, in 1993, there wasnt anything around with those specs and I couldn't afford a real one, plus I had the opportunity and availability of tools. It was a good challenge and very rewarding. What an interesting thread, and now that I've got to the bottom of all the posts I can't remember what happened earlier and what was said at the start! Either it's a long thread or it's yet another sign of my ailing faculties. Great looking guitar is that Eastman. If I picked up the Eastman and it enthused me to play and made me want to try to create music it would get my vote regardless of label and resale value. But I'm afraid (philistine that I am) that the beauty of the instrument would not be something I would be taking any account of in making a decision, other than an unlikely situation with two equally good guitars in other respects. Sad but true. My reservations about mass production and machining are mostly to do with the soundboard / top and its bracing. You take a raw material (wood) that's incredibly variable from piece to piece - density, longitudinal and latitudinal stiffness for example. You then cut it to pre set thickness. That thickness has to err on the safe side to avoid to many warranty issues - so with the resulting normal distribution curve a few very good guitars appear, a fair number of good ones, a lot that are OK, a fair number that are just about acceptable and a few that would be better used for making a park bench. Then we as players need to try a load of different acoustic guitars to try and find the relatively scarce very good ones. On the plus side we can do that if we have the time and energy and with luck we will find a really good one. A good hand made acoustic guitar will have the skills of the maker to maximise the benefits obtained from each individual soundboard, not from a set measurement but from testing and sounding the wood. Similar scenario with the bracing and set measurement vs judgement. Like any skilled operation of course it won't always work, and how often that is will depend how good the skills of the builder are. So better chances of a good 'un. Having said that about the increased chances of a good guitar where craftsmanship is involved I honestly think that for lesser skilled guitarists, like me, a really well made guitar can be a hindrance to enjoyment. Imagine a guitar with infinite sustain and imagine the skills you would have to develop to control the bloody thing. Imagine a guitar with totally pure and clear notes and imagine the skill that requires from the player to make the notes sound warm or cold - the guitar is in control of you. I'm of the view that the player should be the master in the relationship. As long as it looks OK that'll do for me. Extra special finish at an extra cost doesn't add musical value to an instrument for me any more. What the guitar has to do for me is to inspire me to play and inspire my creativity. By it's playability, by it's sounds appealing to my musical tastes and by it's helping me, and even on occasion seeming to help to hide my mistakes. That is a formula which leaves the door open to the right guitar being a big name prized label guitar, a handmade delicately crafted instrument, an instrument that has experienced a lot of CNC in its creation, or a name that brand snobs turn their noses up at. It's down to what happens when I pick it up and start trying to play. I can certainly confirm too that finding a particular guitar that works for me does not mean that all the guitars of that make and model will be the same. Quite the reverse. As some of you will know I had to give up on a Lowden. Most definitely the best quality guitar I have ever owned. Sustain was excellent, note clarity was also excellent, the balance across the strings and along the neck was perfect. I really liked the sound it made when recorded. BUT it failed as a good fit for me as it did not inspire me to play and did not inspire my creativity. At least partly because I was not in control in the relationship. There's no point in playing music if there's no enjoyment in the process. So what did end up inspiring me? A cheap £339 Vintage brand Giltrap signature including hard case and a hybrid microphone / piezo system. I want to create music nearly every day with it. Shame I'm not better at it mind you. At that price it doesn't matter if it has no resale value at all. It does everything for me that I hoped the Lowden would at about 1/8th of the price. It would be a nice bonus if the guitar that connects looked as good as that Eastman .... but fortunately not an essential! - They are supporting a comparatively overpaid western workforce and there is something valuable in having 'Made in the USA' on a traditionally American guitar from a collector's perspective, and a collector's piece is, after all, what most expensive guitars are. - They stand side-by-side with competing brands in shops. My apologies for yesterdays long rambling and mainly irrelevant post. It's been a bad week ... already! I like the idea of needing an instrument to inspire you, Mark. That seems like a healthy way to gauge a purchase. I'm not sure if a really well made guitar can hinder a lesser-skilled player, though. For me, a better instrument inspires me because I know the only hindrances to a great sound is ME! Case in point is my Rickenbacker 360 (a different argument perhaps, but I play electric 95% of the time). My next most expensive guitar is worth about 1/6 the price of my 360! It truly is my dream guitar. Every time I pick it up, it inspires me because playing it is so easy. Everything about it is perfect -the nut width, string gauge, neck shape, finish, sound, even the look. For me the look of a guitar is definitely inspiring as it makes me want to pick it up in the first place! If I'm playing it and something isn't right, I know it's me and not the action, neck shape, scale length or pickups. I'm the one to fix and buying another won't make any difference. That to me is an idea guitar. This might add something to the discussion. Fascinating, but most is just typical business practise. Everybody wants their slice. It's what has been said in above paragraphs - Gibson have to charge more for less due to marketing, and not just big ads in magazines. What baffles me is how some small builders charge silly amounts for what we all know is something straightforward. We all want to be paid well for our impeccable craft that has taken us a lifetime to perfect, but we aren't all worth £100/hr, just because we think so! I value a well made instrument as much as anyone, but £3000 for a strat copy that is just made to stricter tolerances and sold direct from the luthier is ridiculous. Sorry chaps, I know you need to eat, but come one! I don't think I've ever seen the Gibson J45 advertised in a magazine and Gibson are never on TV commercials. How cheap must their publicity be ? All the famous musicians publicise their guitars for free and they would not put their careers or reputations at risk if they were krap. "Clever marketing men put the guitars in the hands of leading musicians." This is to suppose that leading musicians have no musical ear, which is contradictory in itself. They are leading musicians precisely because they know a good thing when they see or hear it and have the money to use whatever instruments they like to showcase their craft. I think the retail price differential is solely down to the labour price differential. If they outsource the Gibson brand to China then there will be a two tier version of Gibsons (as there are three or four tiers of Fender.) The American version will always command a premium and I expect it is only a matter of time before a sub-£1000 Chibson J45 is manufactured. People pay top end money for USA guitars because they are deemed authentic and collectable, there need not be any rationality to it. I cannot see this changing. That they are a 'ridiculous' price adds to their desirability in itself, a bit like a London basement hovel, except these guitars are much nicer. It makes them scarcer (a market force in itself) and more difficult to acquire and so newly retired police constables or newly sold up London property owners use their windfall to splurge on that childhood dream. Gibson are not going to be taught lessons anytime soon on the J45. To be made in the USA workers have to be paid a living wage to western standards. As far as I can see Gibson USA are still producing desirable instruments, so I have no problem with this and good luck to Americans who can keep manufacturing at home and putting steam on the family table. "£3000 for a strat copy that is just made to stricter tolerances..."
That's exactly where the money be- in the finer details.